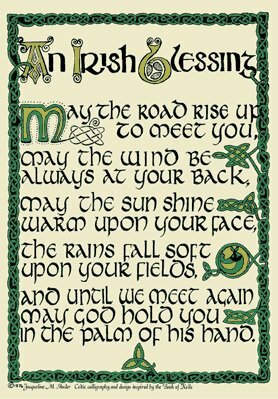 WORDS OF WISDOM: Irish Blessing For O’mamas! MAMAs need all the help we can get! So, in the spirit of our new Catholic papa and upcoming Shamrock shenanigans, we thought we could all use some words of encouragement from the Luck ‘o the Irish themselves. We hope these wise words put a little jig in your step today. Share them with other O’mamas that need a little Irish luck!